This tour includes a visit to the Coast Redwoods of Muir Woods National Monument where you'll see some of the tallest trees in the world as well as Sausalito and the Golden Gate Bridge. The Golden Gate Bridge is one of the most beautiful and iconic landmarks in the world, but have you ever wondered what is on the other side, north of San Francisco? This loop takes you across the Golden Gate Bridge and into the picturesque coastal town of Sausalito and, of course, to the remarkable Muir Woods park. After crossing over the San Francisco bay and hopping-off in Sausalito, take your time to explore this artsy town full of boutiques, art galleries and cafes. When you’re ready hop back on and head to Muir Woods. The 550 acre National Monument is home to some of the tallest and oldest trees in the world, the Coastal Redwoods. You are free to spend as much time in Muir Woods as you’d like. When you have seen your fill of the amazing Redwoods, hop back on the bus to make your return to Fisherman’s Wharf. 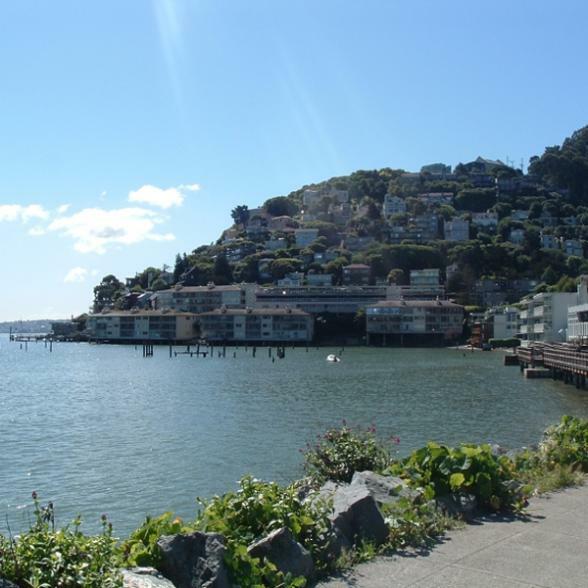 Tour departs daily from the City Sightseeing office (2800 Leavenworth St.) at 9:00am and can be connected to by Sausalito Loop at 11:00am and 1:00pm. 9:00am departure goes directly to Muir Woods, additional departures stop in Sausalito first. Muir Woods entrance fee is NOT included.